Lately, there has plenty of discussion regarding the EPA emissions requirements for on-highway diesel engines. The use of a pollution control device called a diesel particulate filter or DPF is one way to reduce diesel engine pollution emitted from buses, heavy-duty trucks, tractor-trailer rigs and on-highway trucks. Diesel Particulate Filter or DPF for short, is a filter designed to remove particulate and soot from the exhaust gas of a diesel engine. All on-highway diesel engines sold as 2007 model or newer must have a Diesel Particulate Filter installed. How does the DPF function? Every on-highway truck that has a DPF installed also has regeneration light on the dashboard. As long as the truck is going faster than 20 mph when the filter gets full, the engine will do an automatic regeneration and burn off the collected particulate. What is left in the filter is a small amount of soot or ash, similar to the ash in a fireplace. If the truck sits at idle for long periods then the light on the dash will come on, alerting the driver to perform a manual regeneration. The more ash collected in the filter, the less time required between regeneration intervals. As the diesel particulate filter becomes clogged, the diesel engine will begin losing power. Warning lights will alert the driver and if the driver does not get the filter cleaned the engine will shut off completely. How much is a new Diesel Particulate Filter? The cost for a new Diesel Particulate Filter varies between $5,000 and $10,000. Can a DPF be cleaned? Yes. 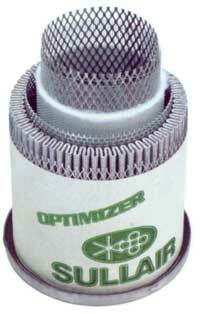 A DPF is a filter and all filters eventually clog. 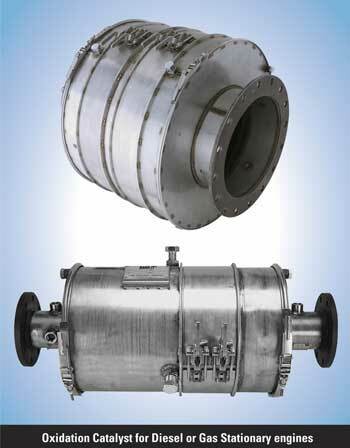 A diesel particulate filter traps all of the particulate matter (PM) or NOx before exhausted out into the atmosphere. The engine goes through a regeneration process that essentially burns the collected particulate matter at a temperature of about 1500° F. Avoid expensive DPF replacement costs by cleaning your diesel particulate filter. Regular DPF cleaning extends the life of your filter and keeps your diesel engine running at peak performance power. How often should a DPF be cleaned? Cleaning a Diesel Particulate Filter depends on the engine manufacturer’s recommendations. Volvo, Cummins, Caterpillar, GMC and Detroit Diesel all have different recommendations for cleaning the DPF used with their diesel engines. Please click here to see our brochure for details. What are some engine conditions that probably mean it is time for a DPF cleaning? Click here for more information on DPF cleaning and additional truck repair and truck maintenance or send an email to schedule a DPF cleaning appointment. Our on-highway truck parts and services include repairs to air compressors, air conditioning & heating, alternators & starters, axles, batteries, brakes, clutches, drivelines, electrical instruments & controls, engine cooling & radiators, exhaust, fuel system, steering, suspension, throttle control, transmission, windshields, wipers & washer, wiring. Click for locations and contact information or email us here. Ring Power’s Full Service Truck Repair facilities are located throughout north and central Florida in St. Augustine, Tallahassee, Perry, Lake City, Lakeland, Jacksonville, Gainesville, Ocala, Daytona Beach, Brooksville, Orlando, Tampa, and Palm Bay. Our services include repairs, or maintenance on all makes of buses, RVs, on-highway trucks, tractor trailer rigs and all types of diesel engines. The Sullair System's Air Quality is one of the best in the industry. The Sullair System matches a Sullair air compressor, a Sullair dryer and Sullair filters. 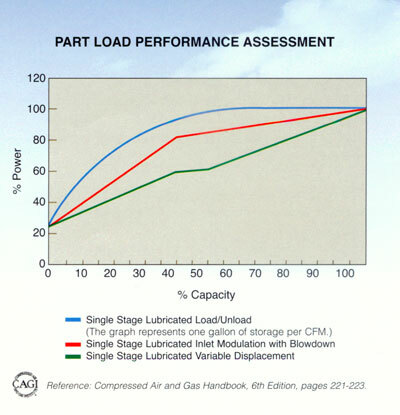 Sullair assures that its System will meet specific performance levels through its operational life. Sullair offers a one-year test/review period, backed by a purchase refund guarantee, to verify the air cmopressor performance and the air system. 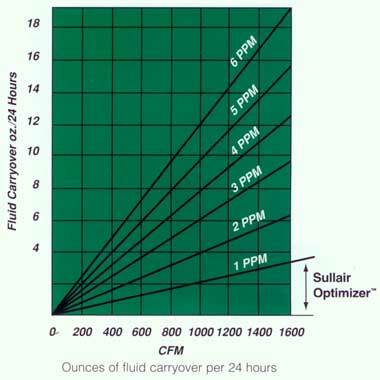 While others claim a low carryover of 5 ppm (parts per million) or more, Sullair's single-stage air compressor offer a carryover rate of less than 1 pppm–the lowest in the industry. Sullair's Multi-Stage Separation (MSS), uses a sump design, which allows use of oversized dual nested separators. 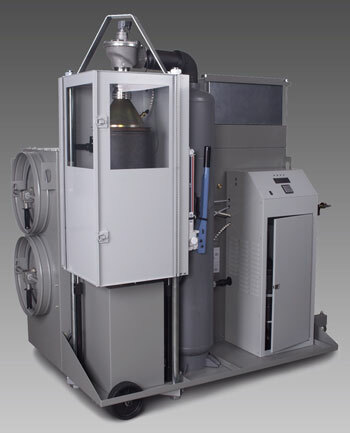 A high-efficiency separator that will pay for itself during the life of the separator in reduced compressor fluid carryover and electrical power consumption. The compressed air from this Sullair Air Compressor System exceeds the ISO standard (ISO 8573.1, Class1 for oil vapor and Class 2 for Particulate). The system includes a Sullair air compressor, Sullair dryer, and Sullair SCF, SCH, and SCC; or PF, PH, and PC air filters. The odor-free compressed air from this air compressor system contains particulates no larger than 0.01 micron, including water, and oil aerosol content of 0.01 ppm by weight (ppm/w) @ 70°F. The remaining oil vapor content is less than 0.003 ppm/w. These systems are not intended to remove carbon monoxide, methyl isocynate or other noxious, corrosive or toxic gases, vapors or fumes. The system does not provide breathing air. Phoenix Products Generator Enclosure Design Blows Away the Competition! Phoenix Products Generator enclosure design receives State of Florida approval for High Velocity Hurricane Zone aluminum enclosures. Generator enclosure design receives State of Florida approval for High Velocity Hurricane Zone aluminum enclosures. In August, Phoenix Products received State of Florida approval on their new High Velocity Hurricane Zone (HVHZ) aluminum enclosures, putting them at the forefront of the industry for providing the highest level of generator enclosure protection. Florida law requires either state or local approval on all building envelope components and systems to certify resistance to structural wind loads as required in the current edition of the Florida Building Code. In terms of structural design, any area that requires a minimum wind design velocity of 100 mph is defined as a hurricane prone region. The Florida Building Code generally enforces this minimum acceptable standard to protect life and property, but—depending on intended use, owner preference or insurance stipulations—many projects require above-minimum performance. 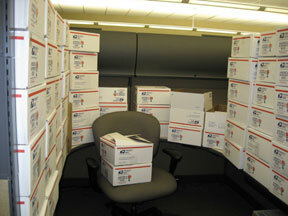 Phoenix Products now offers a hurricane protection solution. Their new HVHZ aluminum genset enclosures are designed to withstand minimum structural wind loads of 150 mph, high internal/external pressure differentials and the impact of wind-borne debris. In addition, the aluminum construction resists corrosion caused by sea air and high humidity. The HVHZ enclosure is another example of the technology, quality, and performance that exemplify the Phoenix tradition of excellence. Hats off to the men who made it work! Heath Kinnunen, Phoenix Products manufacturing engineer, team lead and head project engineer, oversaw the research and development phase of the HVHZ design project, and later, the independent witness testing. Ilmedin Husnic, Enclosure department fabricator and Chris Morter, Tank department welder, were responsible for preparing and building the specimens for independent laboratory tests. Manufacturing engineers Clifton Mills and Richard Hartney supervised the third party quality assurance compliances. For more information about the new HVHZ enclosure, contact a Phoenix Products sales representative or stop by their facility next time you’re in Jacksonville. Phoenix Products specializes in the manufacture of generator set enclosures, fuel storage tanks, aboveground fuel storage tanks, electrical control panels and insulation blankets for exhaust systems, as well as metal stairs and platforms. 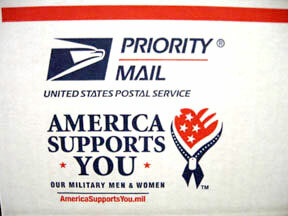 Their headquarters reside in Jacksonville, Florida with offices in Oakdale, California. 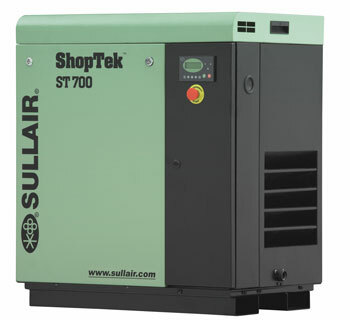 Sullair Shoptek air compressor–rotary screw, continuous-duty air compressor. Ring Power now carries the economical and efficient Sullair ShopTek™ lubricated rotary screw air compressor and is available throughout their Florida locations. The ShopTek is Sullair’s compact belt-driven package which establishes new standards for continuous-duty co mpressors–perfect for the shop that requires smaller horsepower, such as light manufacturing, cabinet and trim shops, auto body and tire shops, commercial laundries and many other applications. Sullair ShopTek™ compressors are available in eight models ranging from 5 to 20 horsepower, with capacities from 17 to 78 acfm, and pressures from 125 to 175 psig. All models are available with an optional Performance Air System that includes a Sullair dryer and Sullair filter. An 80 or 120 gallon storage tank completes the Performance Air System package. All components in the System are perfectly matched and sized to meet varying air quality and performance requirements, eliminating the need to pay for nonessential extras. Ring Power is a leading supplier of air compressors, air tools, compressor parts and service in Florida for over 45 years. Our offices are located in Miami and Pompano Beach, Orlando, Tampa, Jacksonville and Tallahassee. We carry electric and diesel air compressors with names like Sullair, KMT, and Belaire. See all the air compressors, portable or industrial compressed air, high pressure, or ultra high pressure, at our website compressedair.ringpower.com. Diesel power plant powers African country with 54 Caterpillar generators. In 2007, the Power Systems Division of Ring Power signed a contract to supply one of the largest single export orders ever received in the history of the company. The order, placed by the Ministry of Energy in Ghana, Africa, involved supplying and installing a diesel power plant in Tema, located approximately 20 miles east of Accra, Ghana’s capital city. With a total land area comparable to the size of Nevada, Ghana currently struggles to provide sufficient and reliable energy for domestic consumption and industrial use. The vast majority of Ghana’s power generation capacity is hydroelectric. However, the existing power generation facilities are currently producing less electricity due to little rainfall and very low water levels. A team of Ring Power technicians and field engineers traveled to Ghana to install the diesel power plant. The overall concept is comprised of 54 Caterpillar 3516B diesel power generators, all operating synchronized and paralleling with the national electrical grid. Ring Power supplied a central control station, electrical step-up transformers, and additional fuel tanks. The initial 50-Megawatt (MW) stage was completed first, followed by the second phase of an additional 20 MW to provide power to the country. 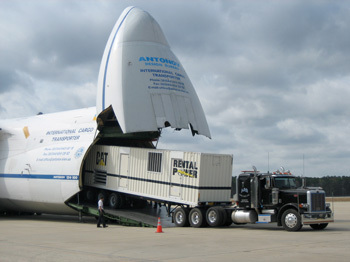 Due to the urgency, the 40-foot high cube containers with the generators enclosed were airlifted from the United States to Ghana in an Antonov An-124, the largest aircraft ever mass-produced. Flying all of the diesel generators – totaling nearly 5 million pounds – and doing it within such a short period of time proved a project of unparalleled magnitude for Ring Power and the managers responsible for the diesel power plant. 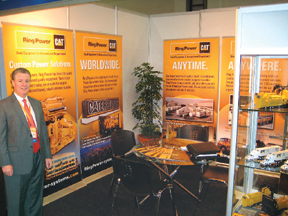 Ring Power continues to establish direct sales channels for diesel power plants, used generators and power systems for customers in Europe, the Middle East, Central Asia, Southeast Asia, Australia, Latin America and Africa.Visit them at ringpower-systems.com for more information. Ring Power, headquartered in Florida, USA, provides industrial engines, generator sets, gensets, power systems, diesel power plants, air compressors and other power equipment. Click the headline to leave a comment or inquire for more information.